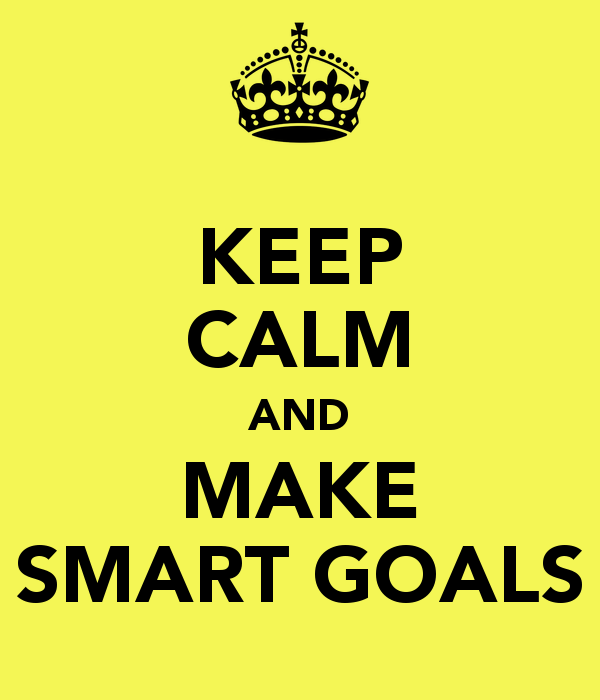 SMART goal setting is one of the techniques I use with my clinic. Each letter of SMART stands for something to help you define your goal clearly, which turns helps you meet it. For example, let's say your initial goal was to 'be fitter'. What does that mean? How can you know if you are fitter or not? When do you want to be fitter? Let's work on it a bit.... being fitter might mean doing 30 sit ups in a minute. Or running for 30 minutes without walking. Or play 5-a-side without needing a sub. Or chasing the kids in the park without needing a break. These are specific activities and some are measurable. If you have time to train during the week then setting a goal of being able to run for 30 minutes without walking is attainable. This training should be running or cardiovascular-related as that is relevant to your goal. Finally, when do you want to do this by? Next week might not be realistic, but perhaps by 24th December as that gives you 4 weeks to train and you can already run 10 minutes without needing to walk. This is the time frame you have to work with. You will know on 24th December if you met your goal if you trying running for 30 minutes and see how you do. Of course you can have mini-goals within this larger one- such as run 3x/week increasing each session by 5 minutes. Let me know if you have a goal but aren't sure how to make it SMART. I am happy to help.